MLB's 2019 season is already underway, which means Sony's best sports exclusive is also upon us. 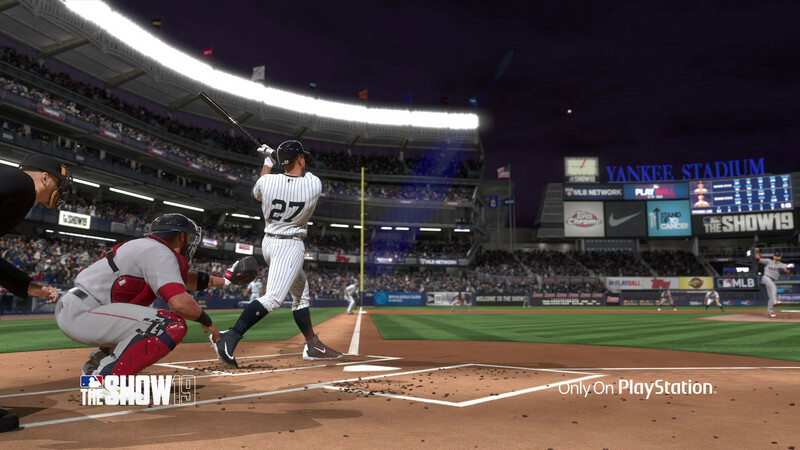 The Show is back and so is its fan-favourite mode, Diamond Dynasty. For those who don't know, Diamond Dynasty is a fantasy baseball mode where players create their own team and progressively obtain better players throughout baseball history by collecting cards with different stats. A baseball game that combines RPG elements and deck-building, who wouldn't want to play this? For those of you who already play Diamond Dynasty, you know a big aspect of the game is earning Stubs, The Show's in-game currency. MLB 19 Stubs can be used to buy packs of cards or to buy cards on the market. In other words, the more Stubs you have, the better the players you can purchase. So, how can you improve the rate at which you earn Stubs? First of all, if you want to earn Stubs, make sure you're playing game modes that will actually reward you with a decent amount of Stubs. If you haven't done so yet, do all of the Conquest challenges. Not only will you earn Stubs just for playing, but you'll also earn them for completing challenges and by discovering hidden rewards on the Conquest map. You'll also want to play all of the Moments that have replaced the majority of the Program challenges from last year's game. Not only will you earn Stubs as a reward for completing the different challenges in this game mode, but you will also earn XP and better players along the way. Earning XP is crucial to earning Stubs because you will earn Stubs as you level up. You can view the exact amounts and rewards you will earn under the XP Reward Path tab in Diamond Dynasty. For example, hitting Bronze level 65 will earn you 5,000 Stubs! Another way to quickly earn Stubs is to complete as many Collections as you can. You probably won't earn a lot of Stubs by doing these challenges, but if you have duplicate items in your inventory, it may be worth collecting some of your extras. You can do this by going to Collections in Diamond Dynasty and then selecting the collection that you want to complete. For quick and easy Stubs, I would recommend doing the Starter Collections. Most of them are very easy and you probably have most of the items needed to complete them. Now for the best way to earn Stubs; play the market and manage your inventory. I cannot stress this enough, you need to manage your inventory and get involved in the Community Market if you want to quickly earn Stubs. By not managing your inventory, you are just letting potential Stubs go to waste. Resist the urge to try and collect as many cards as possible. If you enjoy deck-building and collecting, go for it, but this is a guide on how to earn Stubs. As you play the game you will open tons of card packs and earn tons of random players that are not good enough to make your roster. All of these players will be sent to your inventory to collect dust. Instead of leaving them in your inventory, start listing them on the market, even the common rarity cards should be listed. Some of the common cards are selling for more than 100 Stubs! Just list everything you have that you are not using! You can earn tens-of-thousands of Stubs by doing this, maybe even more if you have been neglecting your inventories for a long time. When you list cards on the market, make sure that you list them for 1 Stub less than the lowest price on the market. You will probably sell the card in about a minute. You can also do this on The Show's website if you log in with your PSN account. You can also play the market by buying cards cheap and selling them for more Stubs if that card becomes rarer or if you think that the player is going to increase in value. If players are doing well in real life, SDS will change their stats to reflect their real-world counterparts. This means if you see a silver card for a player that has been killing it in the real world, you should pick them up because they could become a gold player very shortly. Generally speaking, cards that go from silver to gold or gold to diamond, greatly increase in value. My final tip on how to earn Stubs is to not spend Stubs on packs or on players that you will eventually replace. Yes, if you buy a low-level diamond player and eventually want to replace them, you can sell them, but you will most likely sell them for about the same price that you purchased them at. It's also likely that you will sell them at a loss. So, unless you're intentionally trying to play the market, do not buy players unless you plan on keeping them for the future. The other issue that goes along with this is packed; do not buy packs if you are expecting to make Stubs! You only have a 1:50 chance of pulling a diamond card out of a regular pack, which costs 1,500 Stubs! Sure, there is an off chance that you pull a diamond that can be sold for thousands of Stubs, but the odds are slim. Reality is, if you want to quickly earn Stubs, buying packs will only set you back unless you are very lucky. Do you want to get more cheap MLB The Show 19 Stubs? Just check Games Gold from M8X now.